Sylvia Peek is radiating happiness after her son's wedding. By Donna Garlough·	 10/19/2010, 6:07 a.m.
AT KIRSTEN SCANNELL and Dennis Peek’s Osterville nuptials many wore green to match the wedding party. But none looked quite as verdant – or exuberant – as the groom’s mother, right, who couldn’t contain her delight after watching her son tie the knot. 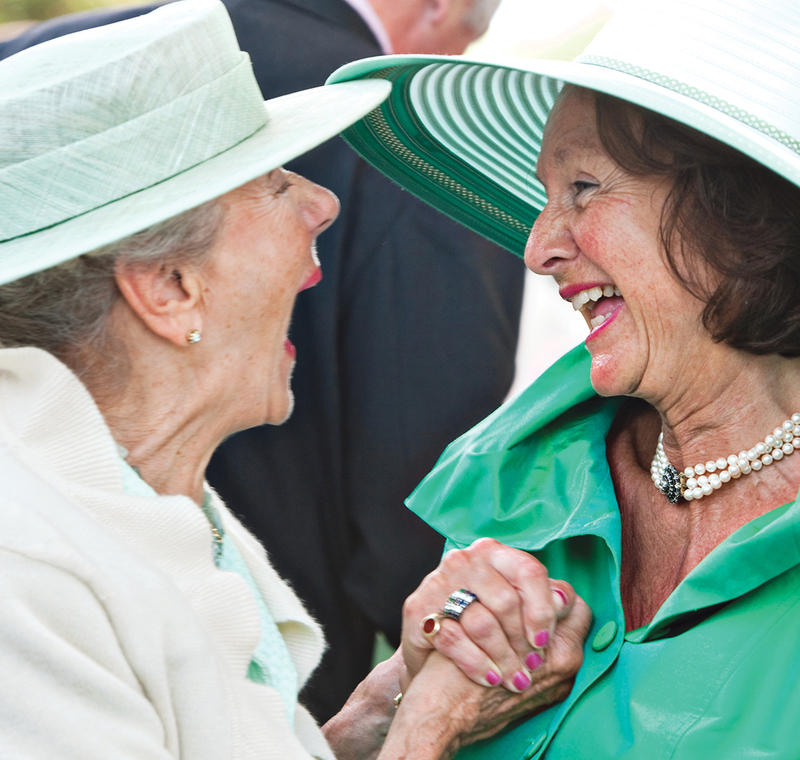 Photographer Andy Beet snapped this shot of an effervescent Sylvia Peek and friend Yvonne Kraaijenhof, a Dutch baroness, celebrating together at the close of the ceremony.